Cast videos from your Mac to your TV via Chromecast. Is there a better alternative to VideoCast for ChromeCast? Is VideoCast for ChromeCast really the best app in Video category? Will VideoCast for ChromeCast work good on macOS 10.13.4? 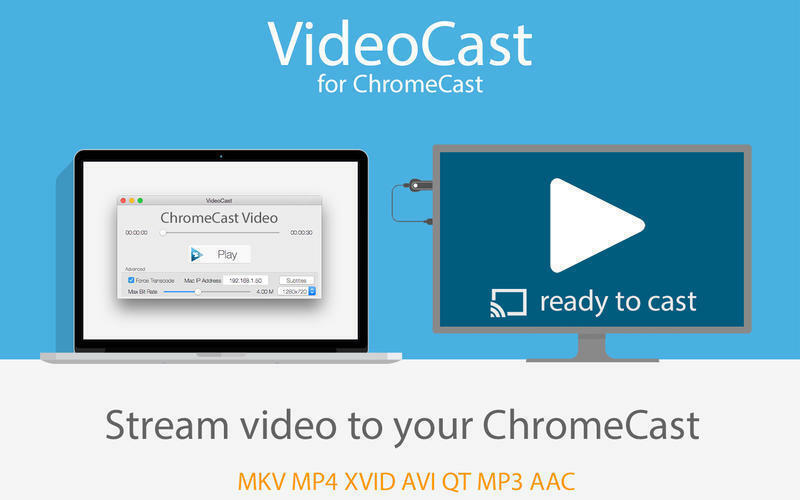 VideoCast for ChromeCast streams all your videos to your TV! This app automatically converts the video whilst streaming to your TV, allowing almost any video to be streamed to your TV - Videos play instantly! Play almost any video file on your ChromeCast TV! VideoCast for ChromeCast needs a review. Be the first to review this app and get the discussion started! Note: Requires a ChromeCast and Google Chrome.